B.O.O.T-d[S] has announced that their replacement for Benjamin "moxie" Kou will be a young Kazakhstani player Alikhan "w1nt3r" Kopzhanov. 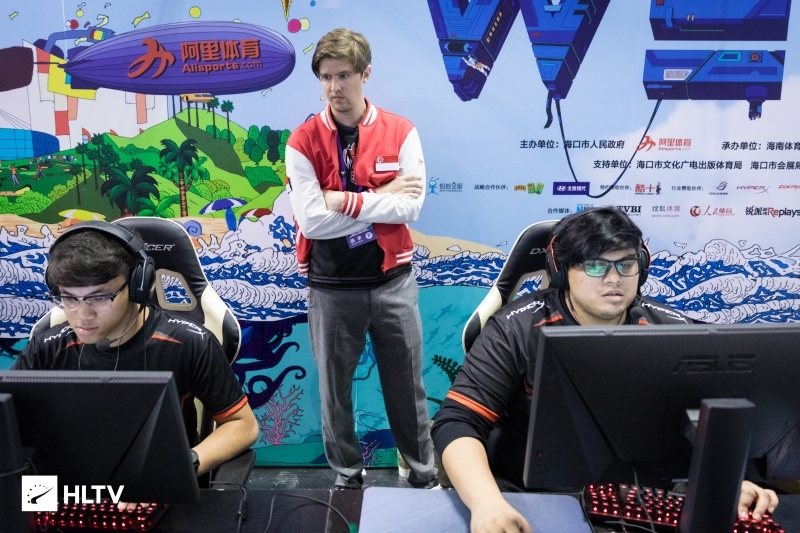 It was revealed that Benjamin "moxie" Kou was leaving the team shortly after the Singaporean squad was eliminated from WESG 2017 World Finals, finishing 17th-22nd at the international tournament. However, moxie was soon recalled for two more LAN events, both of which finished underwhelming for B.O.O.T-d[S]. Now, B.O.O.T-d[S] have finally announced their replacement for moxie, signing Alikhan "w1nt3r" Kopzhanov. The 20-year-old hailing from Kazakhstan has been playing for Singaporean teams Insidious and Quadruno before getting a chance to step in for B.O.O.T-d[S] at the beginning of this year. Seemingly satisfied with his performances, w1nt3r, who is currently studying in Singapore, has been given a permanent spot on the team by B.O.O.T-d[S]. The new roster will be put to the test soon, as B.O.O.T-d[S] are set to take on regional opposition in qualifiers for IEM Sydney and ESL Pro League Season 7 Finals in the coming weeks.